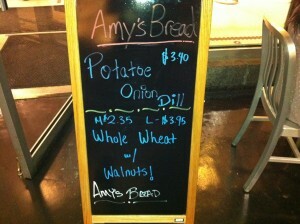 I’ve said it before, when it comes to cooking, there is nothing more important than the quality of the ingredients. You could be using the most standard of recipes or something concocted by your favorite celebrity chef, if you’re using poor quality ingredients, you’re food will not be all that it can be. My ego loves to cook, especially for a large group of people and I always try to get the best and freshest ingredients impossible. If you want to impress, even yourself, you gotta get the good stuff! 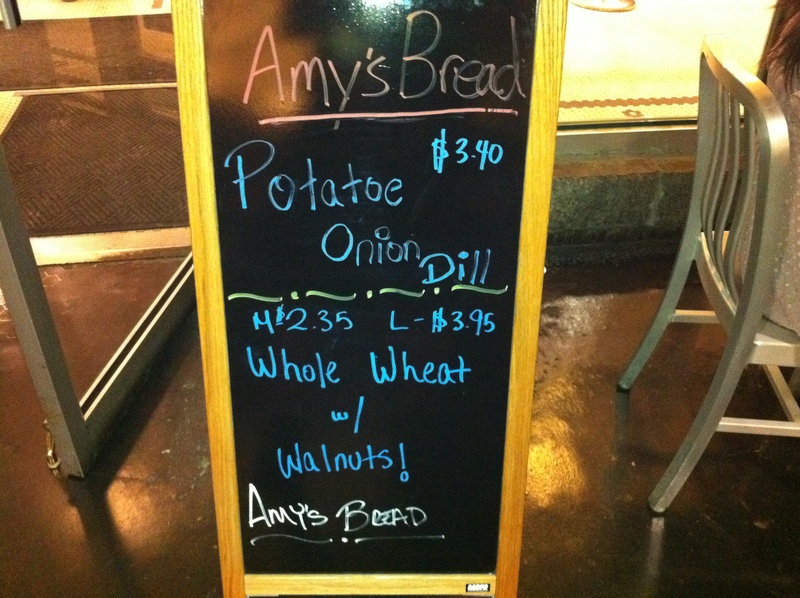 Living here in NYC, we have option upon option of amazing sources of food to keep you from skimping out on your recipes. 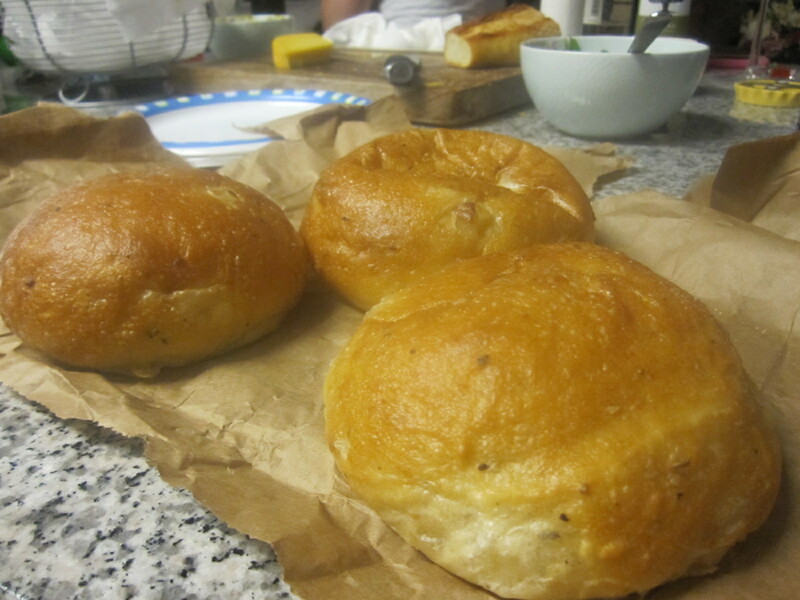 For July 4th (the 3rd actually) we had some friends over for a BBQ and I wanted to really impress them with some tasty treats so I headed off around Hell’s Kitchen and Chelsea to gather up an awesome holiday BBQ feast. 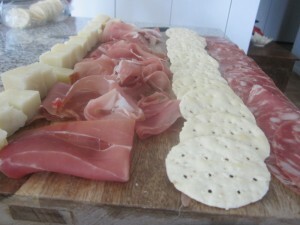 This brand new shop offers the finest in Italian products with a focus on cured meats and cheeses. 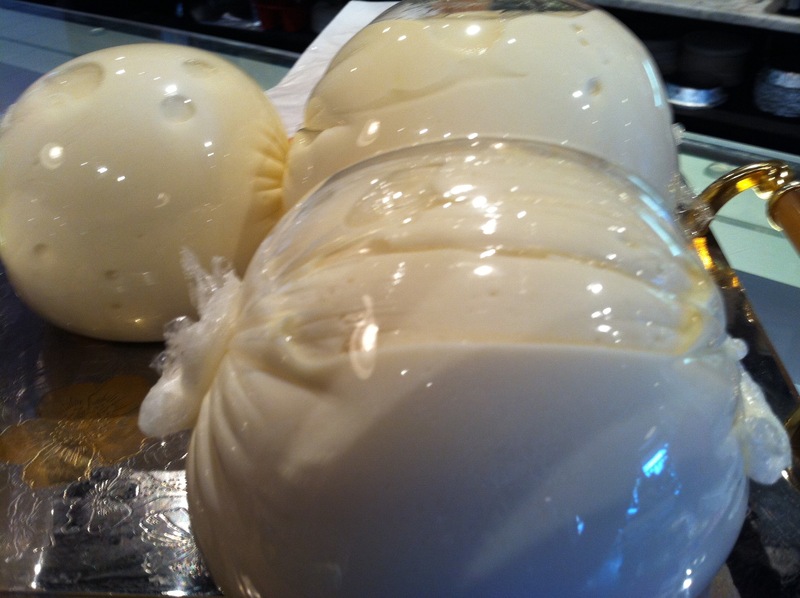 The Hell’s Kitchen Sergimmo Salumeria was started by 2 brothers straight from the homeland, whose first is location is in Astoria, Queens. 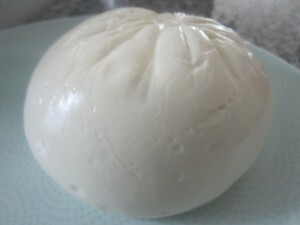 While they offer many things, their prized creation is the fresh mozzarella, which is made in limited quantities, only every couple of hours. You have to time it right to get a ball of it but believe you me, it’s so worth it! When it comes out fresh, the bag will still be warm and all you need to do is get it home & let it settle. Slice the cheese into small pieces, drizzle it with quality extra virgin olive oil and maybe a little cracked pepper. Be sure to serve it along with some the fantastic cured meats available from Sergimmo Saluemeria. 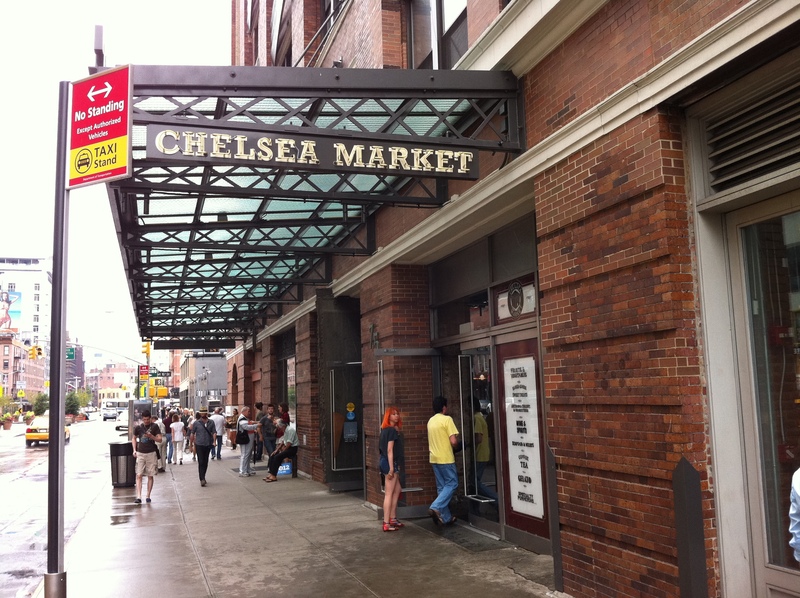 Located in Manhattan’s Meat packing district, you’ll find a building known as the Chelsea Market. 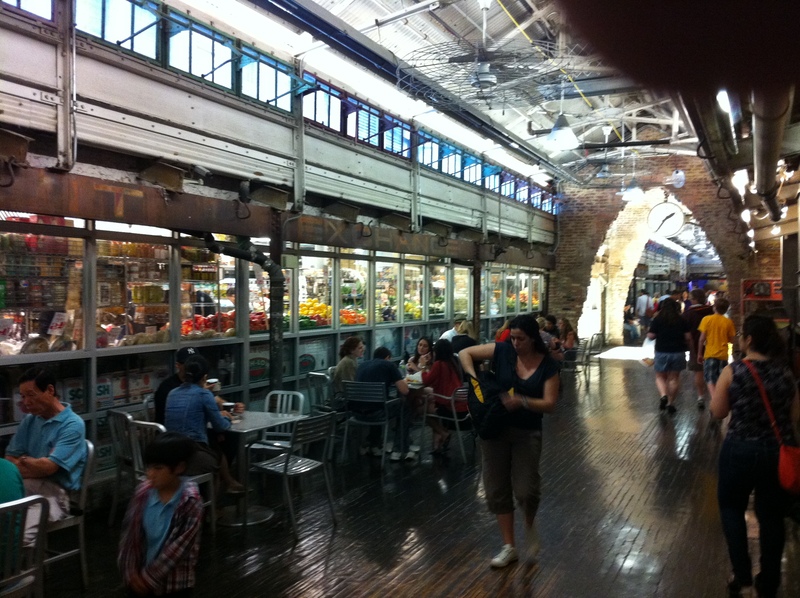 This building house an arcade of food stands and stores where one can purchase everything from farm fresh vegetables, cheeses, rare wines, freshly baked bread, locally sourced meats and even eat freshly prepared meals. It’s not cheap but it is amazing and any foodie or chef worth their weight in cumin knows to shop here. 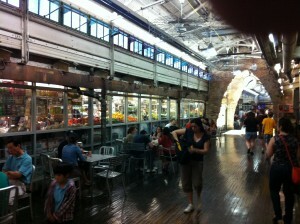 For any produce needs, the Manhattan Fruit Exchange is guaranteed to have the freshest, best quality selection of things that grow any where around here..and usually at a pretty affordable price. I stopped in to grab the produce I needed to make my Carne Asada and Guacamole. 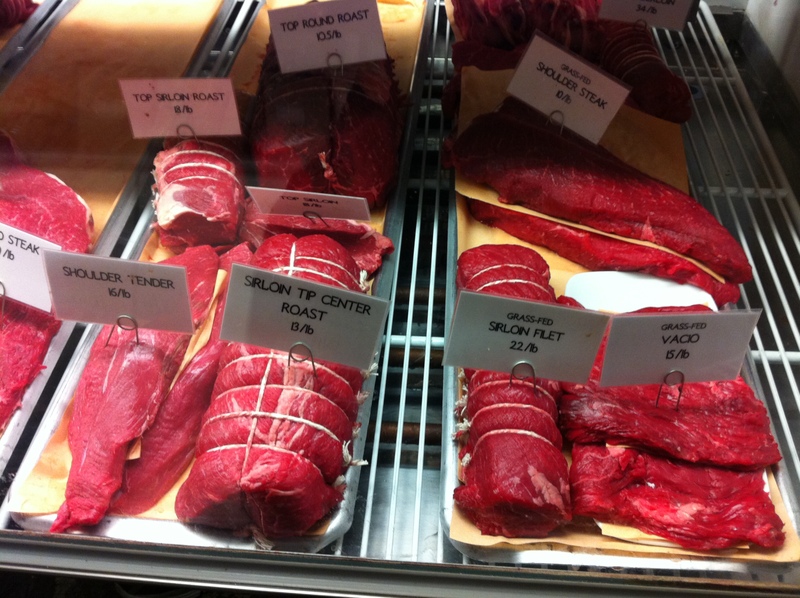 If you’re really into meat, spend some time on their site learning about the farms they work with, recipes on how to prepare their meats and keep up with their blog. 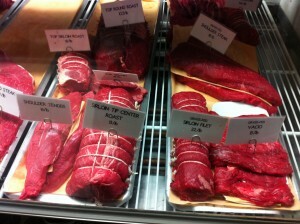 It’s a meat mavens paradise. I stopped in to get 2 things; Vacio & Skirt St for Carne Asada and the famed Dickson’s 80-20 Burgers. These bad muthas are made of 80% Beef and 20% Bacon ground together and formed into patties. Dickson’s only makes them in limited quantity so I suggest calling ahead if you really want them. With all my top quality ingredients purchased, it was time to prep, cook and amaze. 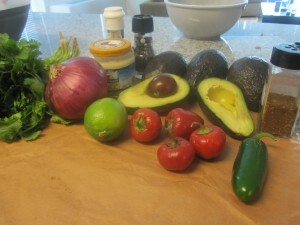 I love everything that’s in Guacamole with the exception of tomatoes, which I LOATHE. This usually prevents me from eating it. I also like it a little spicier than most people so even when I am willing to work around those chopped little red demons, I’m left unsatisfied. I came up with the following recipe to solve those issues. 1. Slice the avocados in half, discarding the pit. Scoop the innards into a mixing bowl. 2. Chop the entire Red Onion into small pieces and add 2/3rd of it to the bowl. Set the rest aside in a separate bowl. 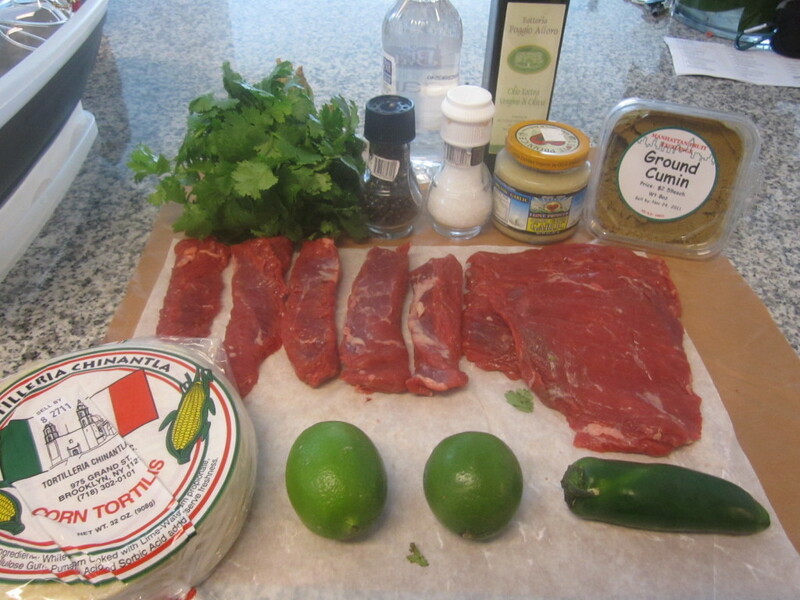 You will need this for the Carne Asada. 3. Remove the seeds from both the Jalapeno and Cherry Peppers, chop into small pieces and add to the bowl. 4. Chop a large hand full of the Cilantro, (including the stems) into small pieces and add it along with the garlic into the bowl as well. 5. Squeeze the juice from the Lime into the bowl. 6. Sprinkle in the Cumin, Salt & Black Pepper into the bowl. 7. Using a spoon, GENTLY mix everything in the bowl until its thoroughly distributed. 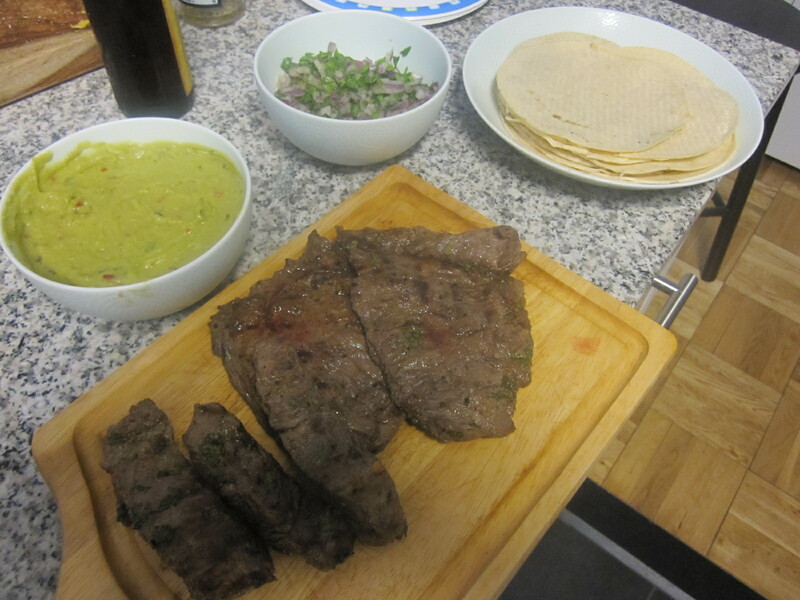 Put about half of this away for use with the Carne Asada while serving the rest with Blue Corn Chips. For some reason here in Manhattan, there is not an abundance of good traditional Mexican food. If you want the comida mas buena, you either have to really search it out, or do what I do, make it yourself. 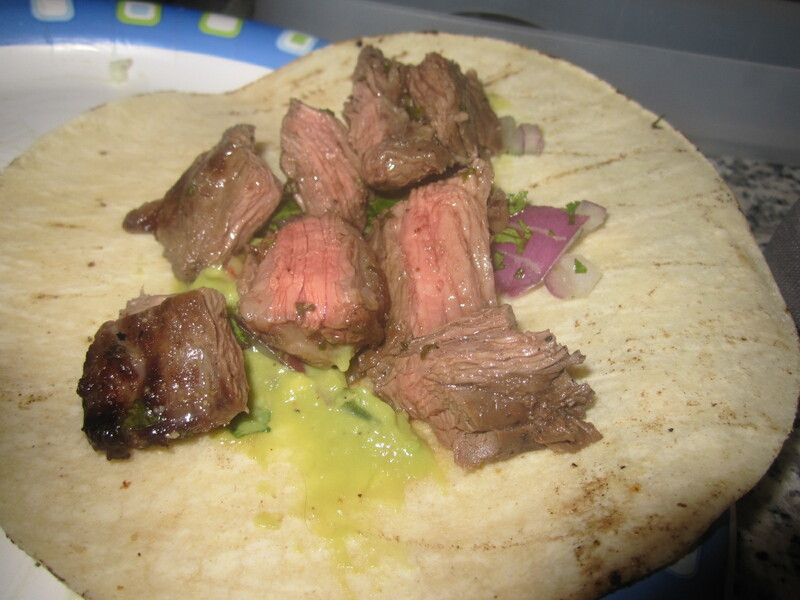 Using the Meat from Dickson’s and the produce from the Manhattan Fruit Exchange, I made up some wickedly outstanding y autentico Carne Asada. *Note, all the best recipes have BEER in them. 1. 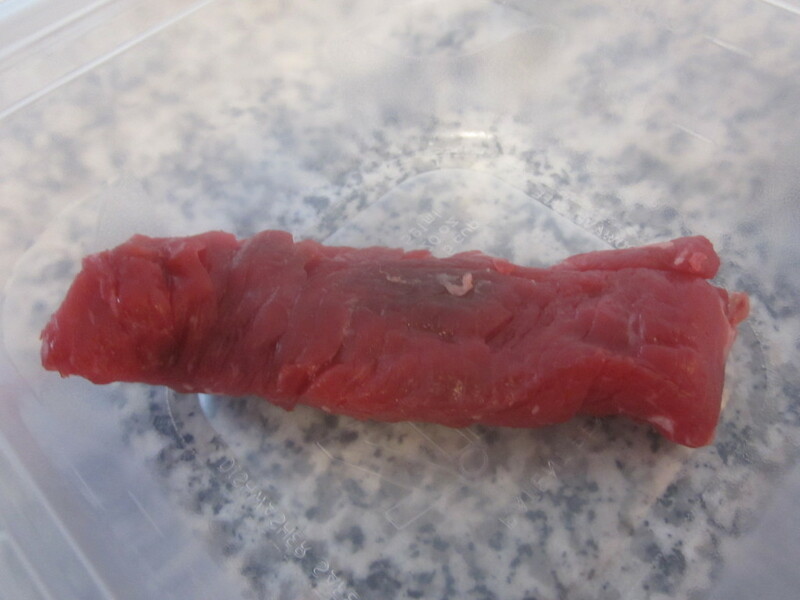 Slice the Meat lengthy wise into strips and lay them in a large bowl or dish. 2. 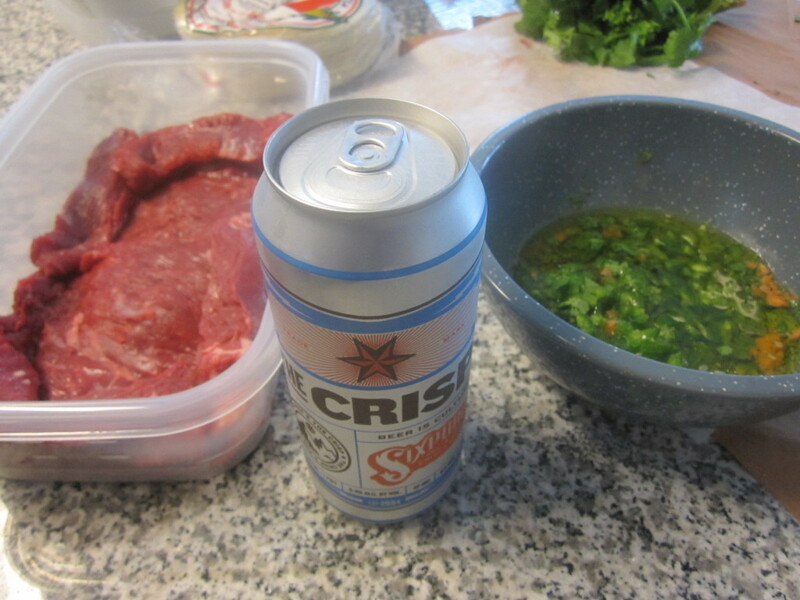 Combine the rest of the ingredients into a bowl, adding in the lager (I definitely suggest using Sixpoint’s The Crisp) last. 3. 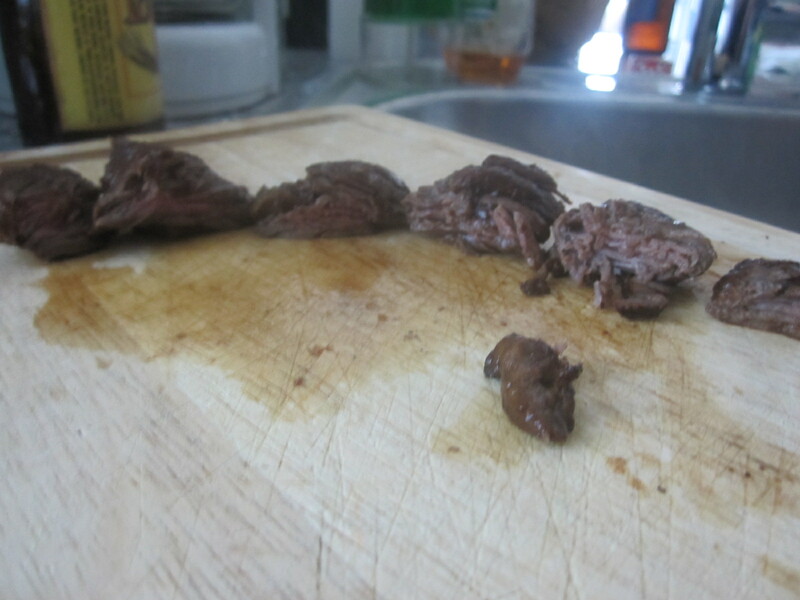 Once thoroughly mixed and stirred, pour over Meat. 4. 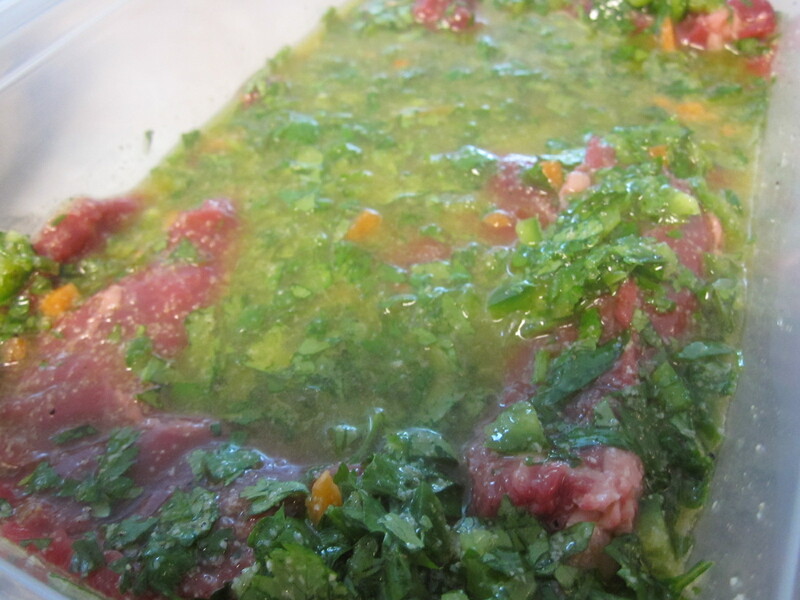 Cover and put into fridge to marinate for at least 60 minutes although 2 hours+ is preferred. 5. 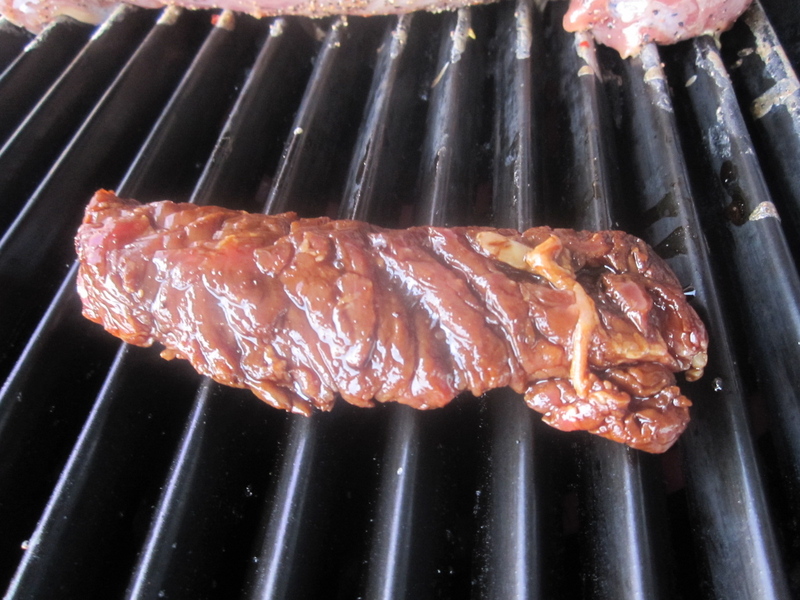 Once the Meat has been marinated, remove and place on grill over medium to medium-high heat. 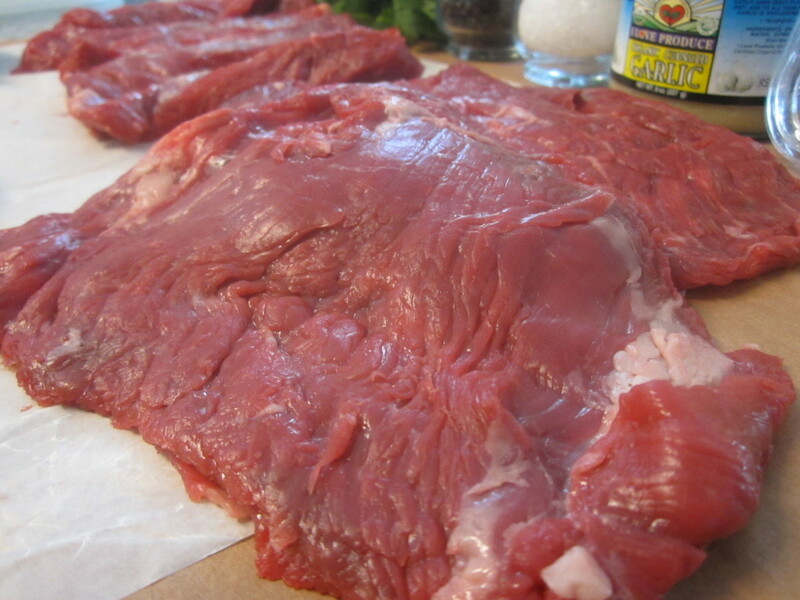 Keep an eye on it as you don’t want to flip more than once and this meat will cook very, very fast. 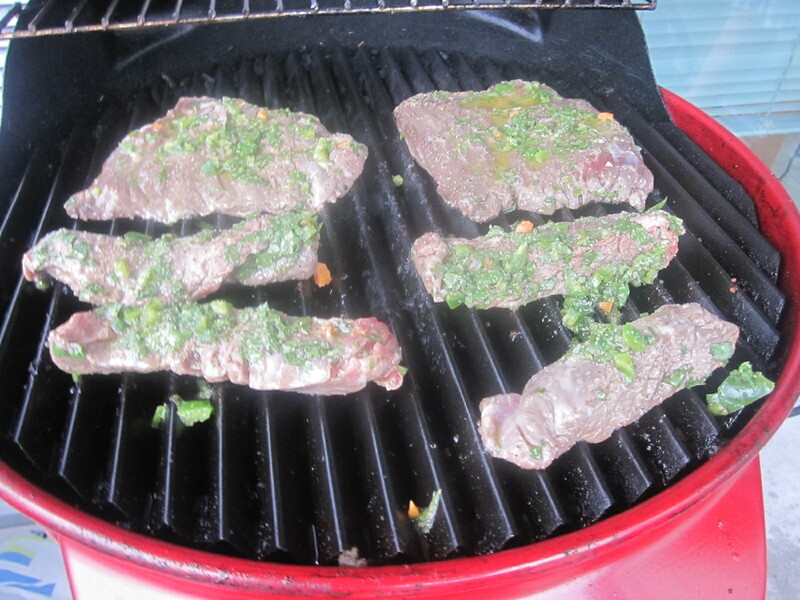 You want to make sure you only sear the outside, leaving the insides juicy, red & tender. 6. 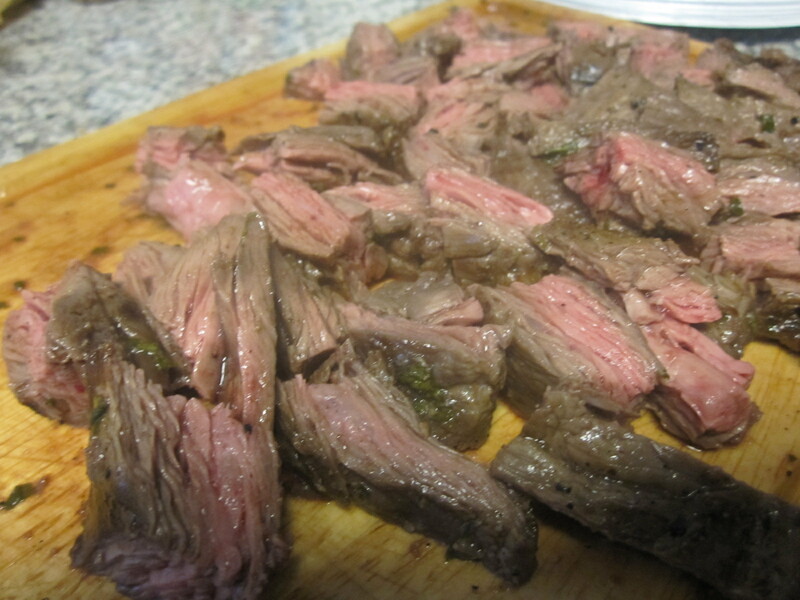 Pull the Beef from the grill and chop into bite sizes pieces. 7. Serve in warm Corn Tortillas with a dollop of The Rev’s Guaca-Holy-Mole and a large pinch of chopped Cilantro and Red Onions. Give your guests’ stomachs a little time to recover while they sip tasty craft beers. Put on some good music, tell some jokes and let everyone’s hunger start to build back up and then just when they already think you are the world’s master grill master, bust out the secret weapon.. 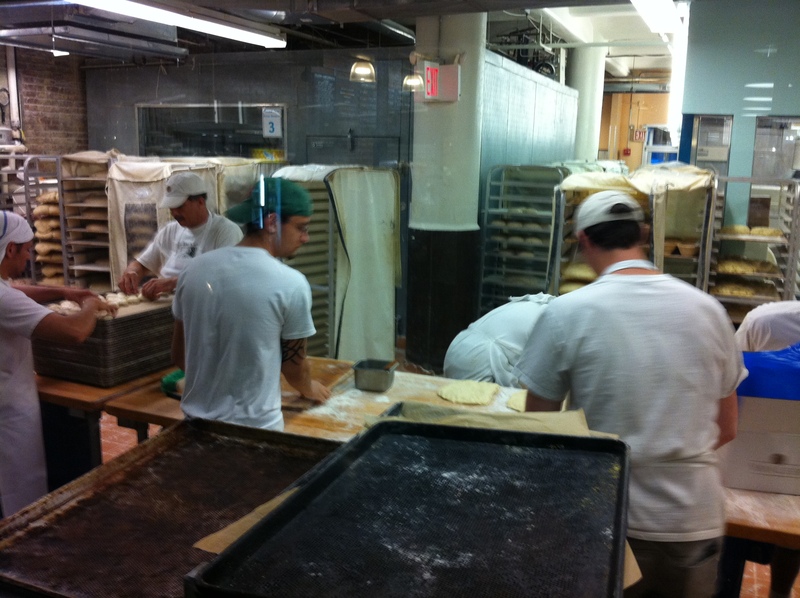 Seriously, if you aren’t already on your way to the Chelsea Market to get these, what is wrong with you? 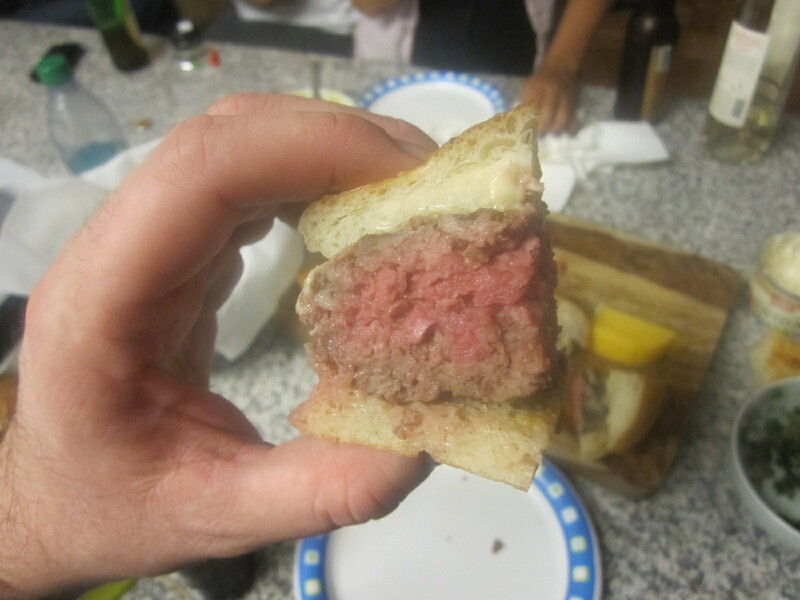 Usually when you hear someone refer to a burger as “80/20” it means lean to fat content ratio. 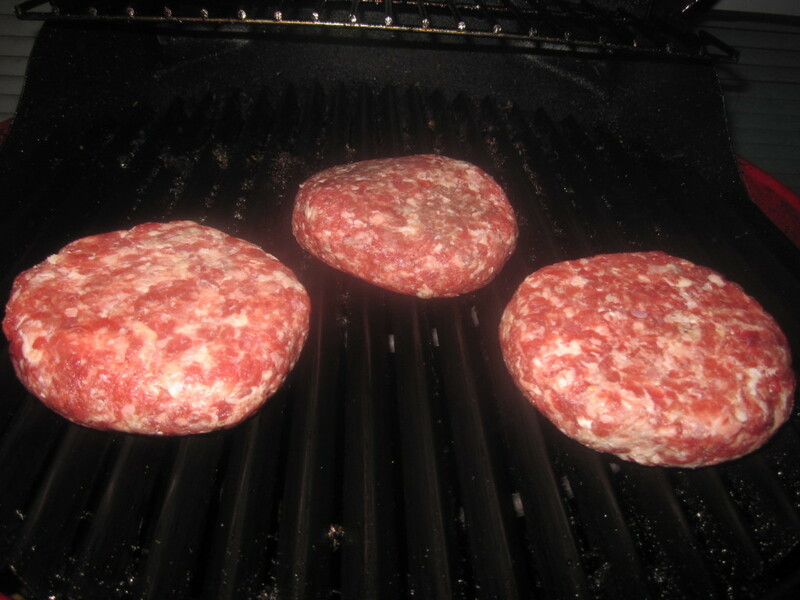 80% lean to 20% fat is universally known as the sweet spot for having a great Burger that isn’t too “bad” for you. But not at Dickson’s! NO! 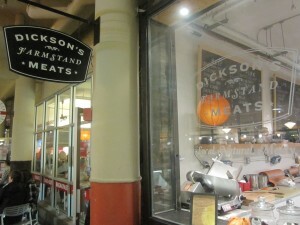 At Dickson’s it means the patty is formed using a blend that is 80% Beef and 20% Bacon. 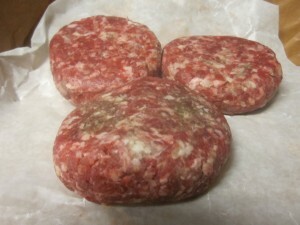 The Beef used is lean as the fat needed to create a juicy and delicious Burger comes from the Bacon. 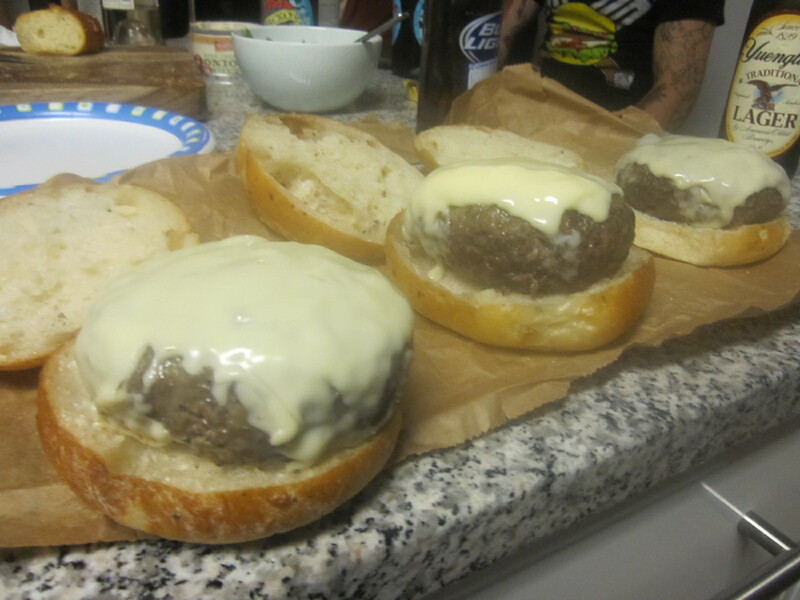 Cooked Medium Rare, served with a single slice of melted White American Cheese on an Amy’s Potato Onion Dill Roll and you will be serving your guests one of the most amazing Burgers they will ever have eaten. At least that’s what my guests said!! In an effort to show off the versatility and quality of Dickson’s Vacio, I decided to give my guests a little treat of something else. I recently met the people behind Mikey’s Marinade who told me the story of a family recipe that was used for years and is not bottled and available to the public. 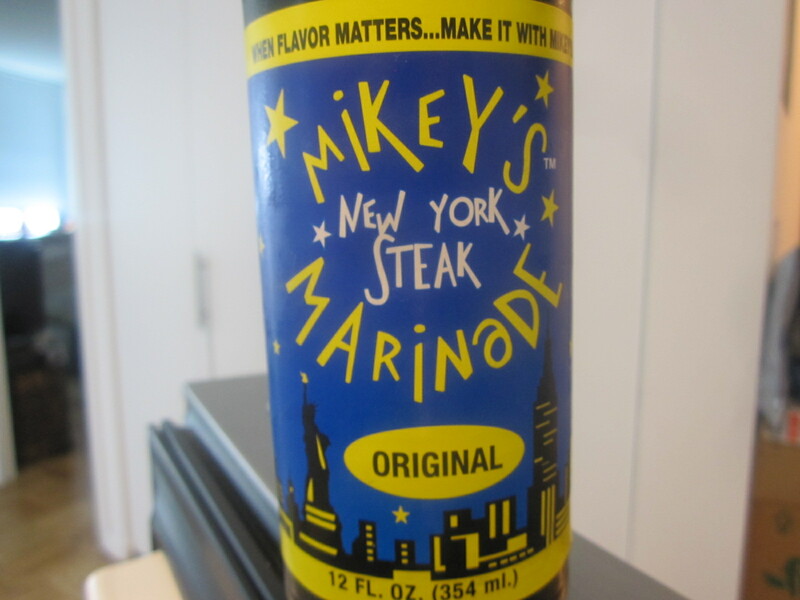 This soy sauce based marinade is made right here in NYC and intended specifically for using with steak. I was dying to try it out and what better test than using Dickson’s? 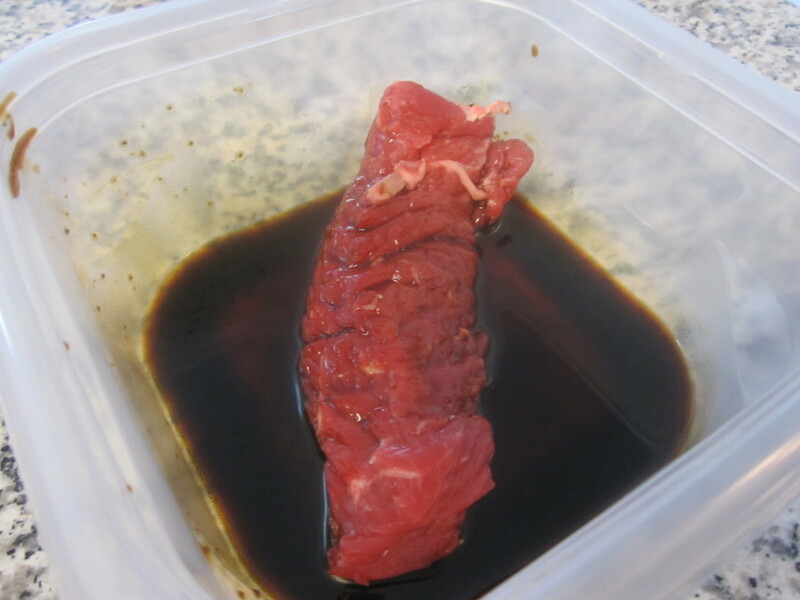 I took one little strip, followed the marinating descriptions on the bottle and grilled it up. 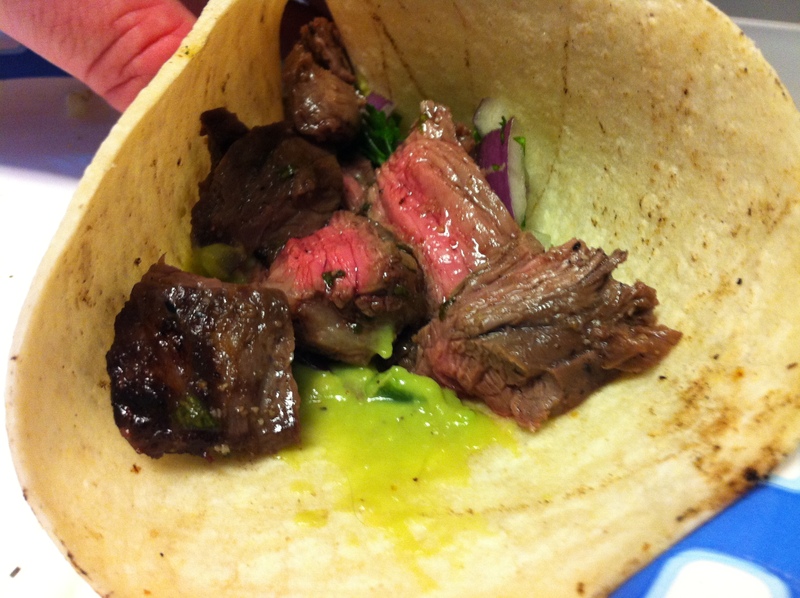 It gave the meat a sweet and smoky taste that was savory and tangy. Dickson’s meat certainly didn’t need it but the marinade itself is pretty good. So there you have it. My secret’s to an AWESOME 3rd of July BBQ. If you aren’t fortunate enough to live near NYC, well you should consider moving because it’s awesome here. If that just isn’t going to work out for you, don’t be afraid to venture beyond the local big name grocery chain and search out quality food purveyors in your area…and then use my recipes! 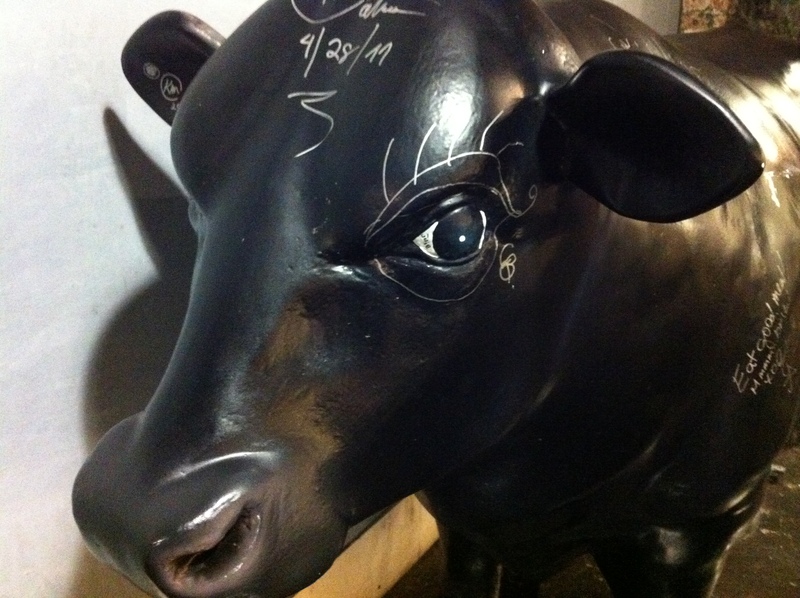 This entry was posted in Best Burger in New York, Burgers, Gourmet Burgers, New York and tagged 80-20 burger, amy's bread, bacon burger, best, burger, carne asada, cheese, chelsea market, ciancio, conquest, Dickson Farmstand, french, fries, great, grill, grilling recipe, hamburger, july 4th, locally sourced, manhattan fruit exchange, mikey's marinade, new york, ny, nyc, recipe, rev, review, Sergimmo Salumeria, the, the rev meter for social community. Bookmark the permalink. 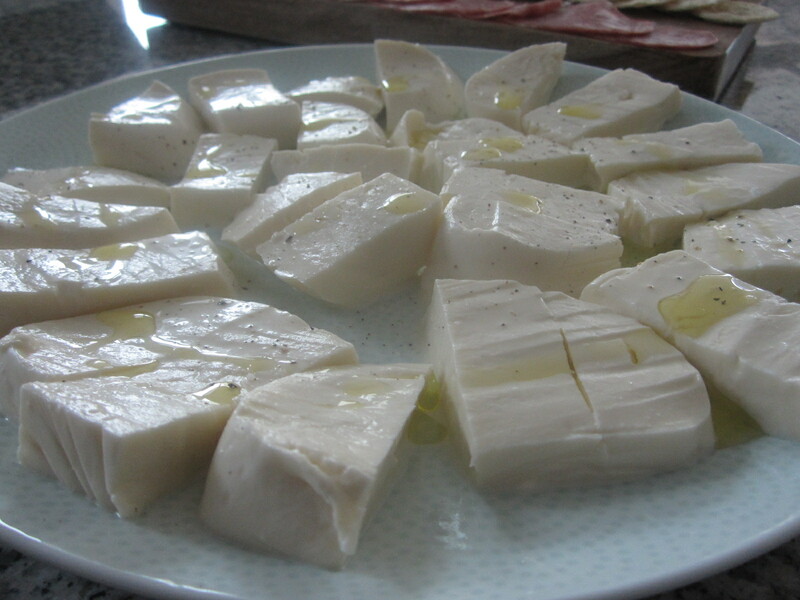 I am still dreaming about the cured meats and mozzarella a month later.